To apply for financial aid at Bastyr University, there are two applications that you must complete and submit. The Free Application for Federal Student Aid (FAFSA) online at fafsa.ed.gov. NOTE: Our priority deadline is March 1st each year. Once you have been admitted to Bastyr, you will receive an individualized award letter. However, below are “typical” award letters for planning purposes. 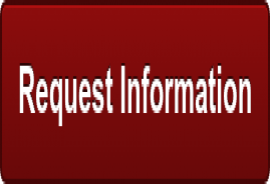 To request the status of your application, or for questions, please contact us. Reduce consumer debt. The financial aid budget does not provide sufficient funds for students to carry substantial consumer debt. If you have credit card debt or other consumer obligations, you will be much better off financially if you eliminate or reduce these obligations before you begin at Bastyr. Credit history. Check credit reports at www.AnnualCreditReport.com and repair adverse credit history. Graduate PLUS and private student lenders review credit. Have some funding set aside for emergencies, if at all possible. If you have savings, work with the financial aid advising staff to determine how best to plan for the use of your funds in conjunction with available financial aid. Consider the relationship between enrollment pattern and available aid. Many students choose to attend four quarters per year and, in the ND program, may opt to spread their education across five years. Students are eligible for new loans every three academic quarters. Naturopathic medicine students must consider that their Stafford borrowing lifetime maximum is capped at $224,000. When this limit is reached, the only federal aid available is the Graduate PLUS Loan. It is the student's responsibility to look at their program's length and keep track of how much has been borrowed. Other graduate programs have an aggregate maximum of $138,000 for Stafford Loans. The Federal Government has a website to assist students in managing their money, mymoney.gov. You can also get a "My Money" tool kit that has helpful tips on savings, investing and protecting your money. Check out our Outside Scholarship Search brochure to help identify possible outside scholarships that you may qualify to receive. Also check out our Online Resources page for good scholarship search websites. Students do not need to qualify for need-based assistance to receive this loan, and the interest accrues while students are enrolled in school. Students can choose to let the interest capitalize, or they can make interest-only payments while they are in school. ND students may qualify for up to $40,500 per three-term award period. All other graduate students may qualify for up to $20,500. The aggregate loan limit for all graduate programs other than ND is $138,500. The ND aggregate is $224,000. Interest rates on Stafford loans are set each July 1st. A list of current interest rates can be found at www.studentloans.gov. There are origination fees that the Department of Education takes out of your loan. Information about these is available at https://studentaid.ed.gov/sa/types/loans/interest-rates. Graduate PLUS Loans are part of the Federal Direct student loan program. Graduate PLUS Loans offer convenient terms such as the ability to defer payments when you are enrolled in school at least half time. Interest rates on PLUS loans are set each July 1st. A list of current interest rates can be found at www.studentloans.gov. You may borrow up to the cost of education minus any other financial aid you receive. There are no annual or aggregate borrowing limits set by the federal government. There is a credit check requirement for the Graduate PLUS loan. Graduate PLUS loans have higher origination fees than Stafford loans. For information about these, go to https://studentaid.ed.gov/sa/types/loans/interest-rates. Most private loans are restricted to U.S. citizens and international students with a U.S. co-signer. Private educational loans are also available for students who wish to receive additional resources to cover the gap in funding or to replace federal loans. It is the responsibility of the student to seek out a lender and apply for a private student loan. Private loans require a credit check and may require a co-signer. We encourage students to pay attention to interest rates, fees and repayment terms as these may be different than federal student loans. More information about private student loans can be found at https://choice.fastproducts.org/FastChoice/home/2242500/1. You are required to complete an online entrance counseling session at www.studentloans.gov prior to receiving any federal loans. We also strongly encourage you to complete entrance counseling for private loans at https://choice.fastproducts.org/FastChoice/home/2242500/1, but it is not required. Exit counseling for federal loans is required within 30 days of your graduation date (either 30 days before or 30 days after). This is also an online session completed at www.studentloans.gov. There is no exit counseling required for private loans. You may also, at any time, make an appointment with someone in the financial aid office to discuss either federal or private loans. The University's work-study program has a wide variety of jobs available, on campus and off, that provide learning and earning opportunities that help students meet their living costs. There is also a small international student work-study program. Graduate students are eligible for consideration for both the federal and state (Washington residents) work-study programs. The average annual work study award for nine months is $1,800. For more information, contact Susan Farley, Work Study Coordinator, at (425) 602-3081 or sfarley@bastyr.edu. Students should inquire into possible financial aid programs sponsored by fraternal organizations, clubs, etc., in their home area. Alaska residents should ask about the Alaska Student Loan Program. Canadian citizens can borrow under both the Canadian federal and provincial loan programs. Bastyr University Scholarships for all incoming graduate and professional students are one-time awards, based on prior academic achievement and financial need, designed to bridge the cost-resource gap. Students do not need to submit an application to be considered. The awards range from $1,500 - $7,000, which are credited to the recipient's student account during the first three quarters and can be used for any school-related expense, including, but not limited to, tuition, fees, books, supplies, room and board, transportation and utilities. To see an estimate of school-related expenses, see our Cost of Attendance. Licensed Massage Therapists enrolling in either the ND or MSAOM program may apply to the LMT scholarship. This $1,500 scholarship is renewable based on academic performance. All applicants must meet the normal academic requirements for the degree program and provide proof of graduation from a massage school accredited by the Commission on Massage Training Accreditation. This scholarship can be renewed through the annual scholarship process. The AmeriCorps/PeaceCorps Scholarship is awarded to qualified AmeriCorps or PeaceCorps alumni in recognition of academic potential in the field of Natural Health. This scholarship will provide $1,500 towards your Cost of Attendance for any AmeriCorps/PeaceCorps student who is admitted to Bastyr University through the regular admissions process. This scholarship is not renewable. Documentation of Americorps or PeaceCorps service will be requested. More scholarships are available to Bastyr graduate and professional students after their first year. Bastyr University works with veterans to access their Veterans Education Benefits. The Department of Veterans Affairs website provides information about all VA Educational Benefits Programs. You may also contact Michael Hall, Assistant Registrar, in the Office of the Registrar at mhall@bastyr.edu to inquire about benefits specific to programs offered at Bastyr. www.washboard.org: Lists scholarship opportunities for Washington state students. 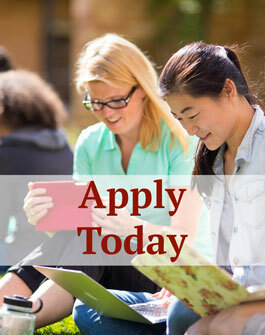 www.scholarship-positions.com: Lists various scholarships specifically for international students. www.fastweb.com: Free scholarship search site for undergraduate and graduate students. finaid.org: This has a lot of general information about federal financial aid. There are also useful calculators to plan paying for college and repaying your loans. StudentLoans.gov: Access America for students is the student gateway to the U.S. government. This site includes a multitude of financial aid resources and links, including scholarships and grants. studentaid.ed.gov: Student gateway to the US government's federal financial aid site. Includes many financial aid resources and links. studentloans.gov: Offers financial aid information from the Department of Education. AIE.org: This website information on planning for college, paying for college and managing your money. It also has Spanish-language content. cashcourse.org: This is a free student financial planning website. mint.com: Offers a free tool to help students manage their money.